Attention Horsemen: Urgent Efforts Continue To Reinstate H-2B VISA Returning Worker Exemption - Your Help Needed! (Lexington, Kentucky - Monday, December 5, 2016) - The National Thoroughbred Racing Association (NTRA), through its involvement in the H-2B Workforce Coalition, has joined other organizations and businesses in pushing to have the H-2B visa returning worker exemption reinstated in a continuing resolution that is being drafted to fund the federal government through March 31, 2017. H-2B visas are used by employers to fill temporary, non-agricultural positions that they are unable to fill with domestic workers. Horse trainers and other industry participants use the H-2B visa program to hire grooms and other stable help. The H-2B visa program has an annual cap of 66,000 visas. Qualified workers who complied with past visa requirements and worked in the program during one of the preceding three years will be excluded from the cap through the returning worker exemption. 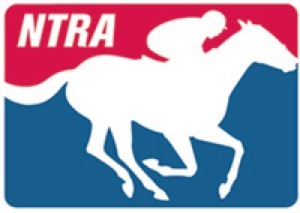 The Texas Horsemen's Partnership supports NTRA in asking industry members to contact Congressional leadership immediately and express the horse industryâ€™s concerns and the need to reinstate the H-2B visa returning worker exemption. Starting today, December 5, industry stakeholders are urged to call Sen. Mitch McConnell at (202) 224-2541 and Rep. Hal Rogers at (202) 225-4601 in Washington, D.C. Once connected to the office, ask to speak to the person who handles H-2B issues. Tell them Congress must understand that a failure to reinstate the H-2B returning worker exemption before March of next year will hurt horse racing and agriculture industries and result in the loss of critical jobs. For those with Twitter accounts, tweet #saveH2B to @SenateMajLdr and @RepHalRogers with the following message: â€œInclude H-2B returning worker exemption in CR-critical horse racing and agriculture jobs are at stake!â€� In separate tweets with the same message, you may also consider tagging other members of Congress and @HouseAppropsGOP.